This sample shows how Paris can be used in the education sector to produce complex documents, such as Program Outlines, on plain paper. Ideal for high volume variable data applications that need to be printed on plain paper and/or filed and delivered electronically. 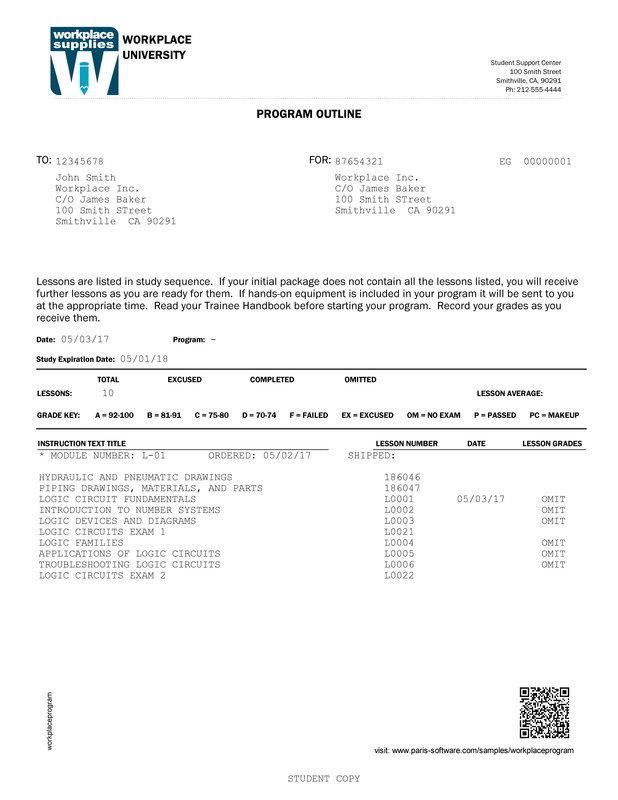 In this example, we are have designed a personalized Program Outline document in Paris to replace costly and inefficient pre-printed paper with plain paper. Print in duplex to print overflow or terms & conditions on the reverse. Easy design and editing of these documents allows consistent branding and clear information. No changes are required to your host system or process. Output to PDF for electronic filing and delivery via email.